The collection includes, in sixty pages, twenty three texts written in Beijing between 1924 and 1926 and published in the journal ” The Thread of Words”. It is a very special book, but for Lu Xun quite important: six texts concern the position of the writer and of poetry, four are devoted to memories of his youth, seven are dreamlike poems and five are news-related poems and concerning the political role of the writer. As explained by Sebastian Veg in forty pages of comments and an afterword “From autonomy to powerlessness”, the question of the autonomy of literature in relation to politics is at the heart of the thoughts and the writings of Lu Xun. Literature will be freed from the “Confucian instrumentation of literature as a legitimization argument in favour of the existing law and order and at the same time against the traditional writing of scholars”. Political tensions, the break between nationalists and communists with the massacres of Shanghai in1927 will lead to take on responsibilities, which will push some of the writers “to subordinate again literature, barely freed from the Confucian ideology, to a new ideological order generally in the orbit of Marxism “(p.614). For some it is the time of commitment, for others it is the belief that ” literature only builds its independence through a painful awareness of its social powerlessness “(p.626). Lu Xun will follow these two approaches and “Wild Grass” is the end of his strictly literary activity. As he says in a foreword to the English edition: “After that I did not write anything similar. As time changed from day to day, one did not need that kind of text, or even to feel that kind of impressions”. Certainly there will be “Ancient tales written in a modern way”, published in 1935, but Lu Xun will devote his time to journalistic, controversial and political essays, often linked to current debates. Xiao Hong, despite a very short life is a major writer of Chinese literature that the Hong Kong media industry is trying to “launch” as it was partly the case with Eileen Chang.”Golden Era” is the latest film by Ann Hui, a Hong Kong filmmaker. We valued several of her films and especially those who have been inspired by short stories by Eileen Chang “Love in a Fallen City” (1984) and “Eighteen springs “(1997). “A simple life” released in 2012 is a great success. This is unfortunately not the case with “Golden Era”. The film is much too long (three hours) and seems endless as it gets moving again when we believe its over … Yet Ann Hui shows beautifully Manchuria and the life of Xiao Hong and Xiao Jun as described in “Market Street”. Tang Wei, who was punished with a ban on shooting for several years after the “hot” scenes of “Lust, Caution”, is quite remarkable. The film focuses too much on the (complicated…) love life of Xiao Hong and not enough on her work but it has the virtue of recreating quite convincingly the filial relationship between Lu Xun and Xiao Hong. 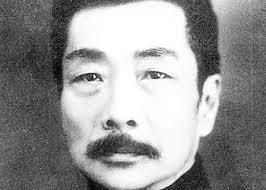 Lu Xun was a great help to Xiao Hong specially to publish “Land of life and death”. The film shows the daily life of Lu Xun, his wife and son. It was for Xiao Hong the family she never had. On this occasion, I read a beautiful text by Xiao Hong which describes the daily life of Lu Xun and his family, his writing nights and his illness. “A remembrance of Lu Xun,” a text of twenty pages, published by the magazine “Renditions” (Spring 1981), translated by Howard Goldblatt, who did so much for the fame of Xiao Hong. Finally, one should read the article by Sebastian Veg “New Interpretations of Lu Xun” in “China Perspectives” (2014/3) to understand the place of Lu Xun in intellectual debates in China but also his relative recent erosion in propaganda media and school curricula. These translations and this interest in Lu Xun will soon make it ridiculous for Lu Xun not to be included in the collection of the French “La Pleiade”, the prestige selection by publisher Gallimard ! Lu Xun, “Short stories and prose poems”. “Editions Rue d’Ulm” ; translation, annotations by Sebastian Veg; 2015, 660 pages, 24 euros.